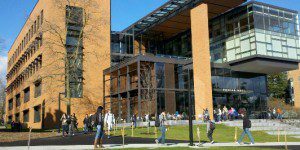 The University of Washington Global Executive MBA (GEMBA) at the Foster School of Business takes 12 months to complete. The cohort-based program is geared toward professionals looking to continue or to start working internationally. The University of Washington Global Executive MBA program takes place over four quarters, and each quarter consists of four to five classes. The classes cover disciplines such as Financial Accounting, Decision Modeling, and Ethical Leadership. Students in the most recent Foster Global Executive MBA class are, on average, 37-years old and have 11 years of average professional work experience. GEMBA students have access to all university career services. Furthermore, the MBA Career Management offers students career coaching, online resources, advisory boards, networking events, a mentor program, and peer advisors for students in their second year. In addition, students can participate in mock interviews, resume reviews, and career advising. Tuition and fees for the University of Washington Global Executive MBA come to a total of $90,000. Financial assistance may be available for a few high-potential applicants. Applicants are required to submit transcripts of an undergraduate degree, proof of English language proficiency (if applicable), GMAT scores, a statement of financial ability, an employer letter of support, and a letter of recommendation. GMAT scores are required for students who are self-supported, while those who are supported by their organization may waive the GMAT requirement.